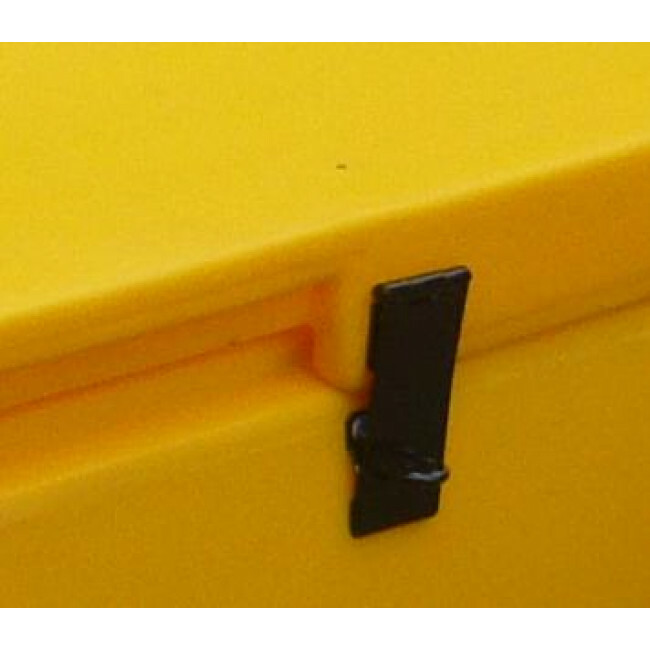 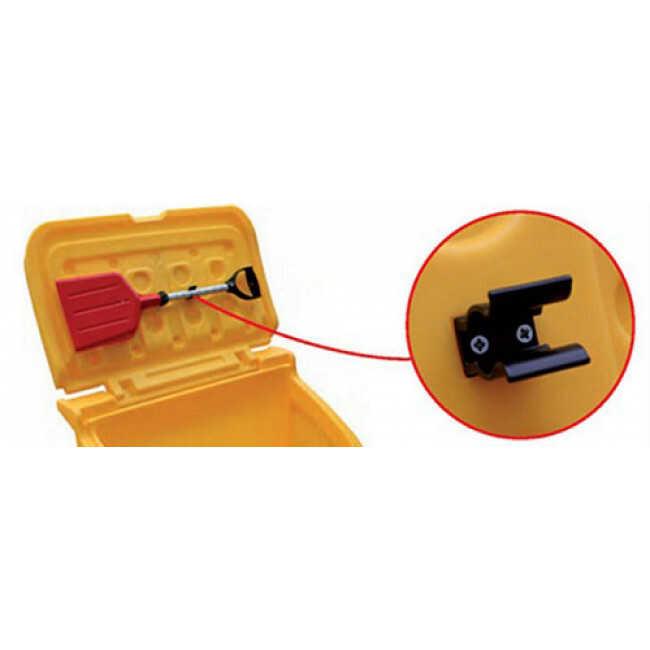 The hinged lid is angled to minimise the amount of rain, snow and ice settling on top, ensuring ease of use in winter weather. 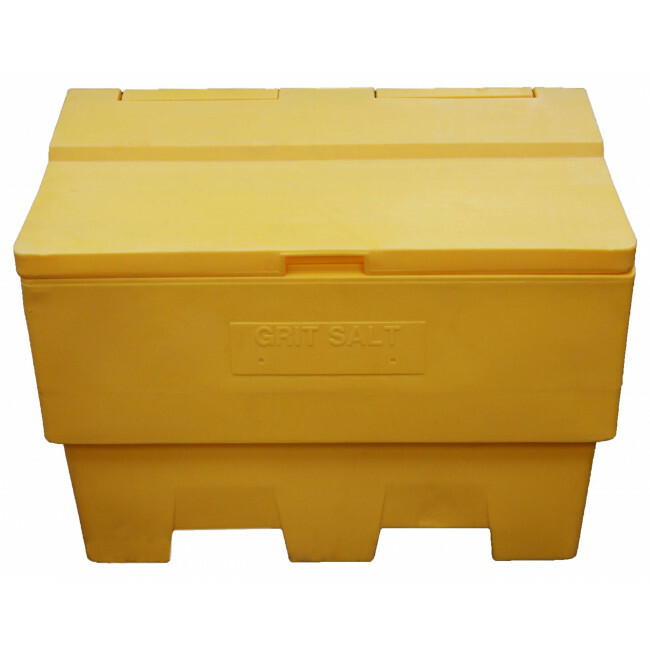 An optional factory-fitted hasp and staple is available to add extra security to your rock salt (padlock not included). 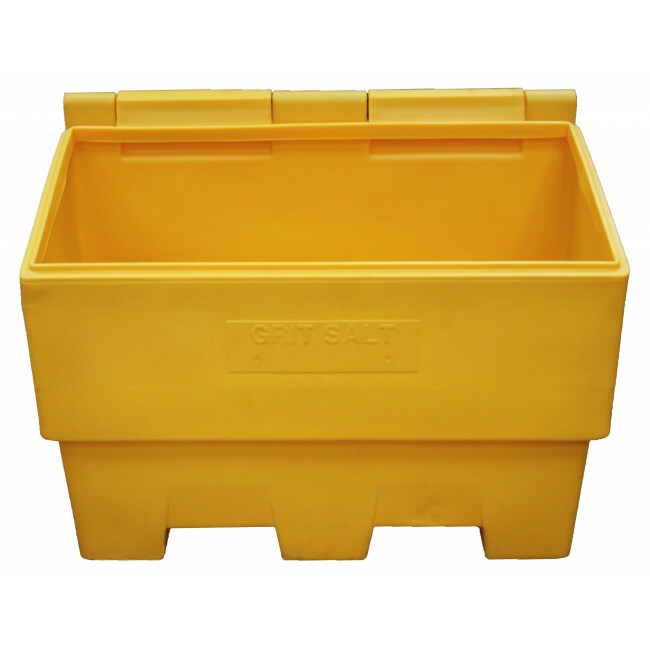 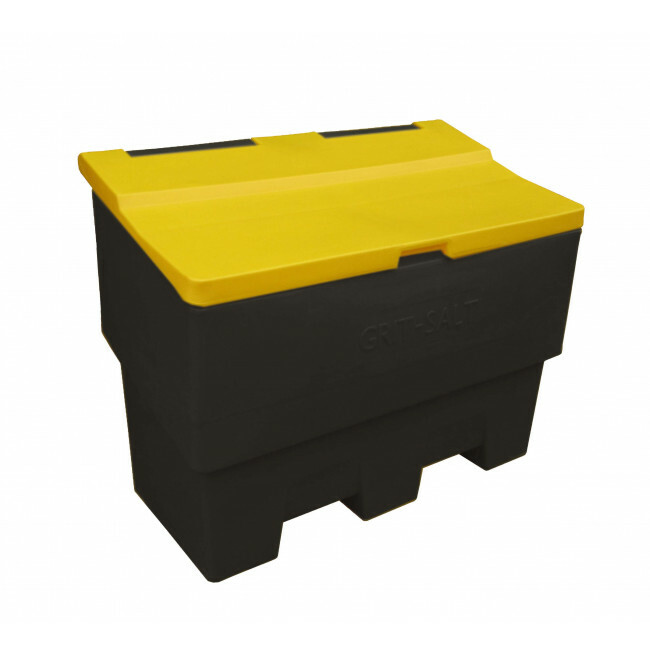 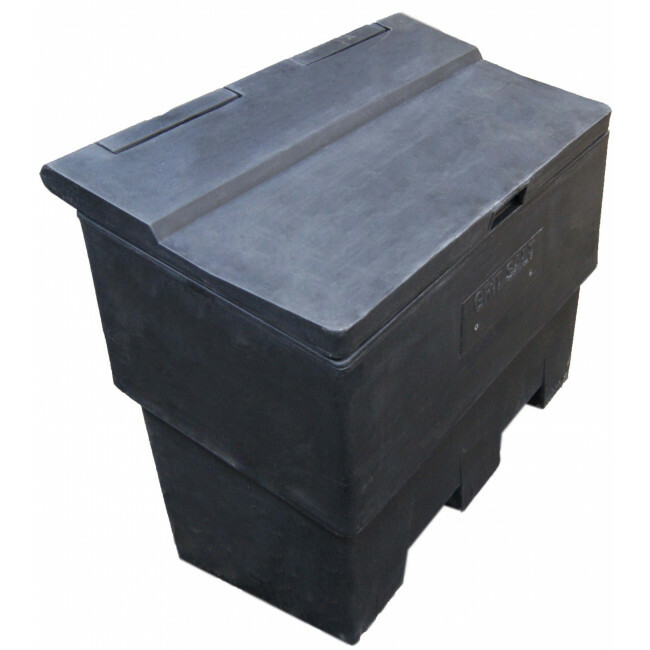 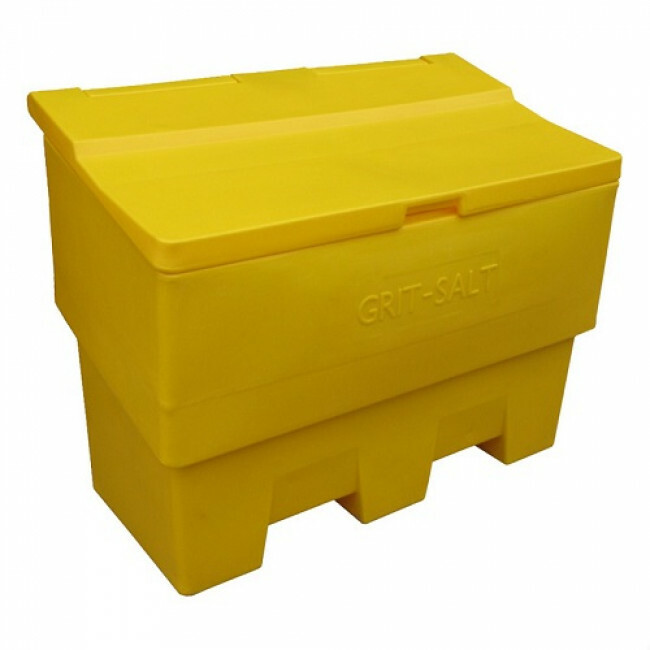 Our range of 12 cu ft grit bins are inter-stackable making them ideal for storage during the summer months when not being used for storing grit salt. 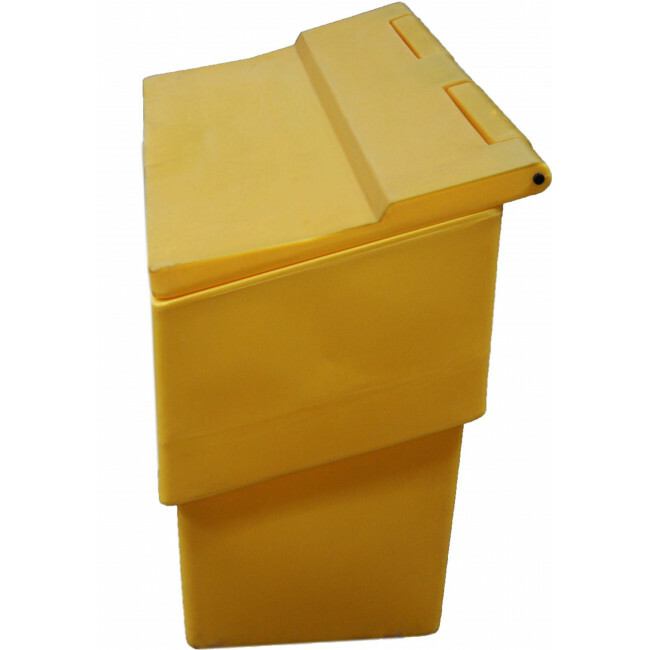 The design includes two channels beneath the bin which allows the bin to be manoeuvred with a forklift / pallet truck even when full of grit. 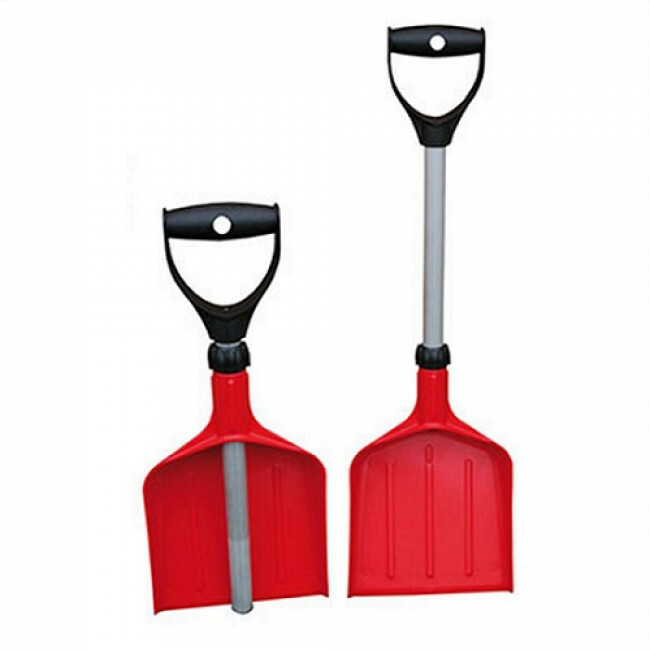 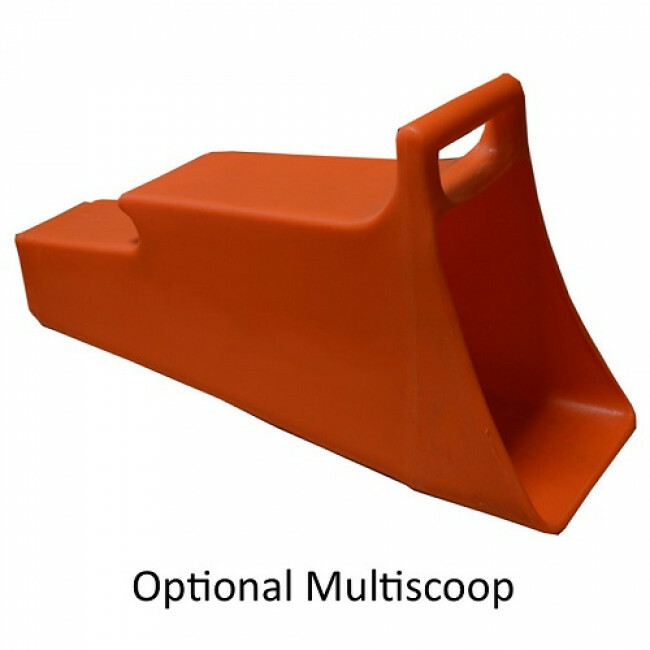 The optional Multiscoop is a versatile tool that can be used to quickly and efficiently spread grit or salt. 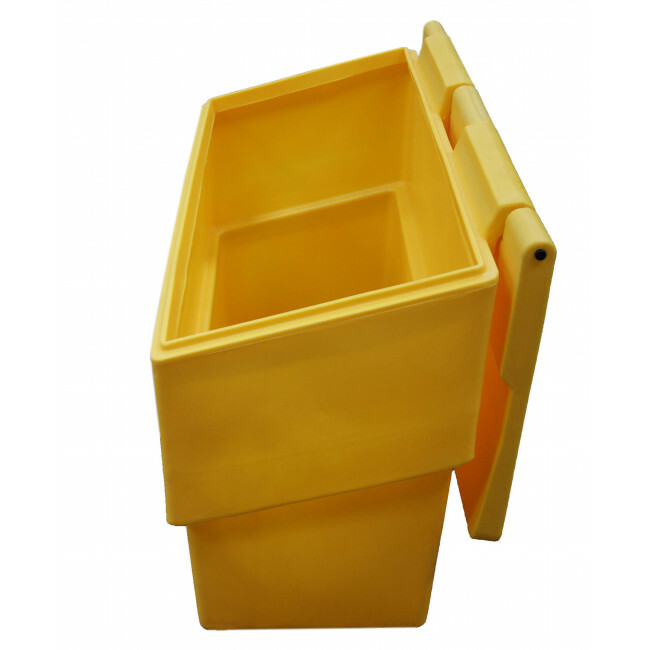 It is manufactured from tough and durable plastic and features anall-in-one, leak-free design with an integrated handle for ease of use. 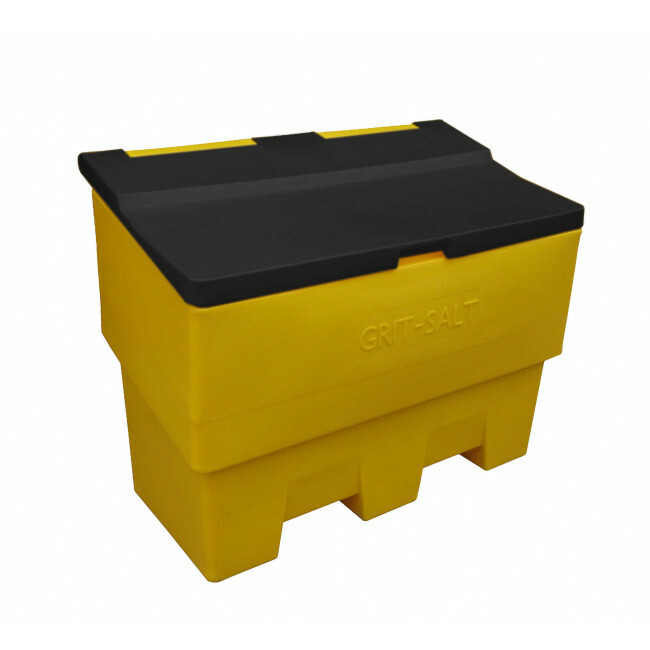 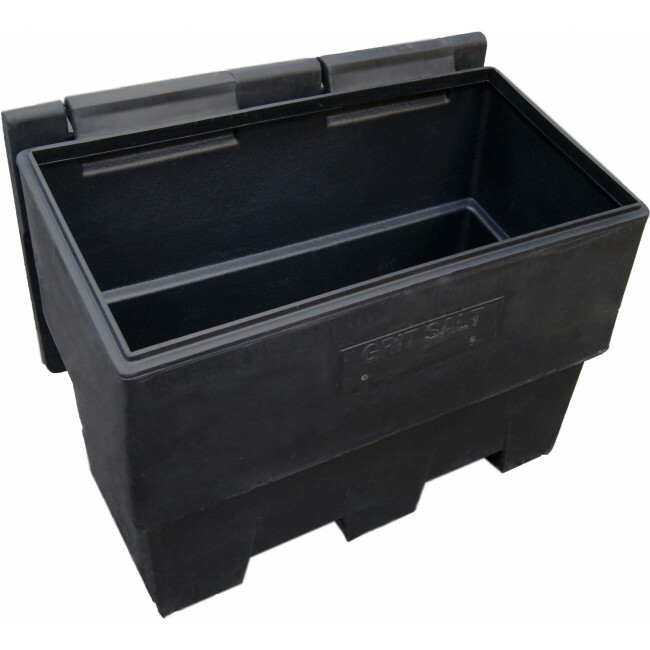 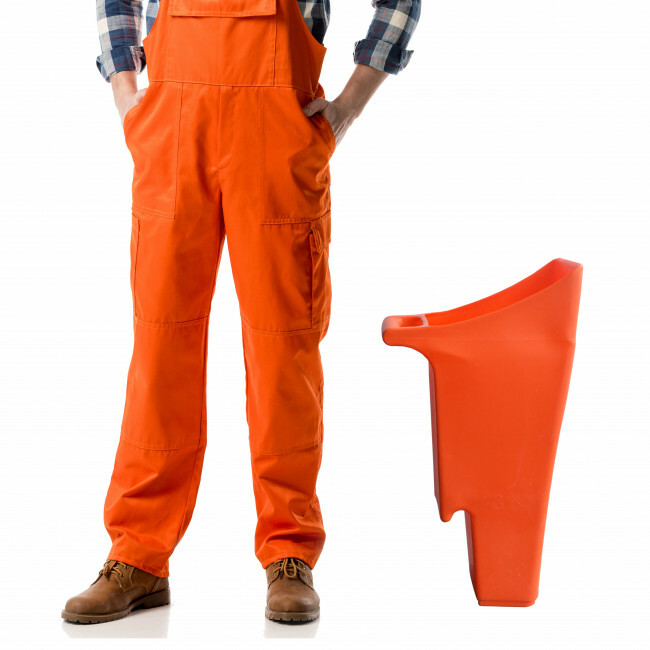 The Multiscoop is ideal for storing inside this grit bin and can hold up to 25kg of grit.